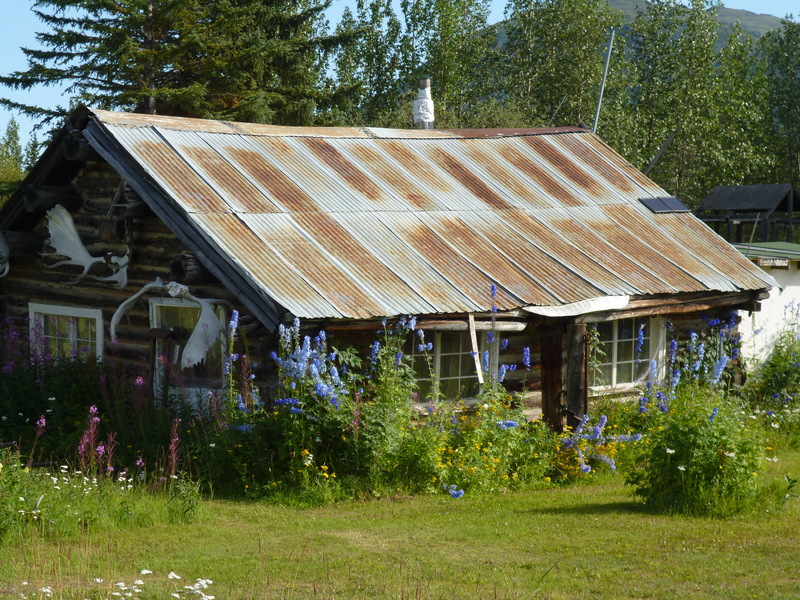 Before heading north to explore the Dalton Highway and the Arctic Circle, we spent a couple of days exploring Fairbanks. 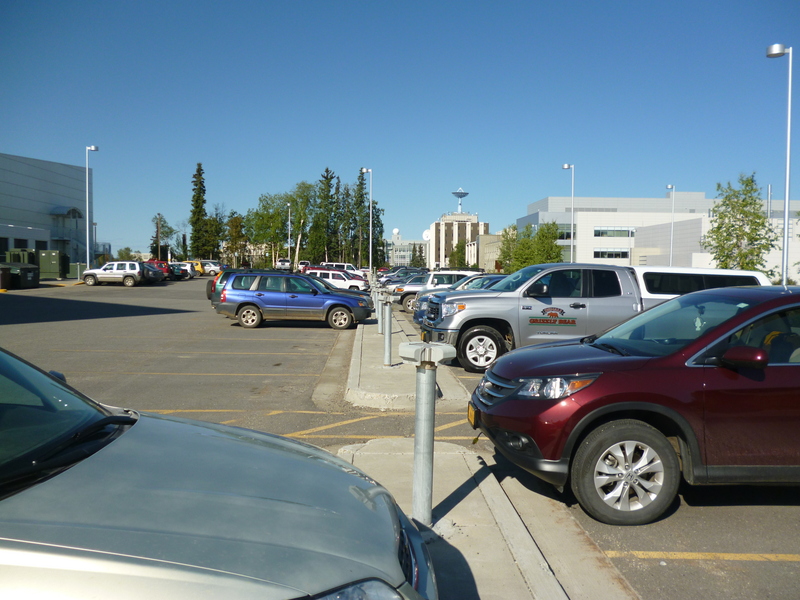 One of the things you don’t normally see further south are the electrical plug outlets in the parking lots so that folks can keep their car engines warm in the sub-zero winters. 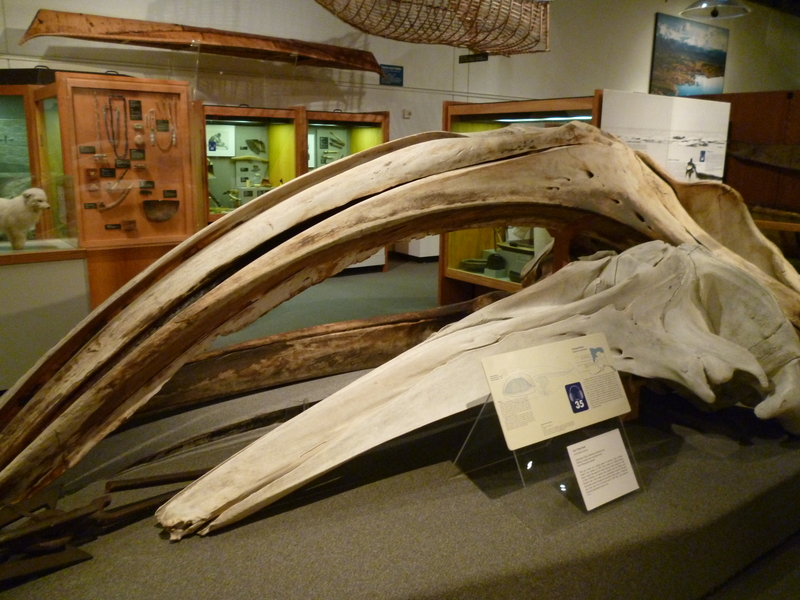 We checked out the UAF (University of Alaska Fairbanks) museum. They had the things you would expect like whale and dinosaur skeletons. 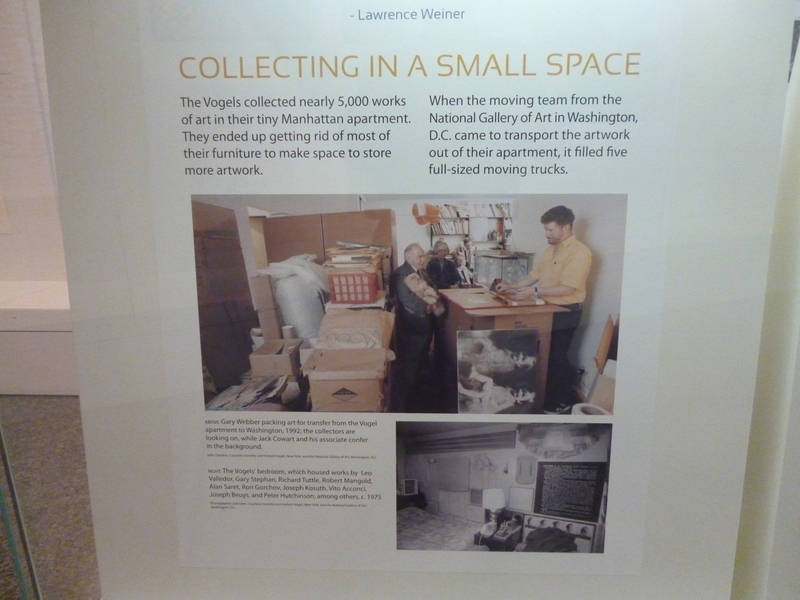 What was an interesting exhibit was the “Vogel – 50 for 50” exhibit. Herb and Dorothy Vogel were New York City residents since the 60s, he a postal worker and she a librarian. Over the decades they amassed one of the largest private collections of art, all from aspiring artists in NYC over all those years, jammed into their little NYC apartment. They turned over their priceless collection to the National Gallery of Arts and 50 pieces of their collection were sent to a gallery in each of the 50 states. Due to their very limited income they were pretty innovative on their acquisitions, for example trading cat sitting for a piece from one artist, or collecting the working sketch instead of the final piece. 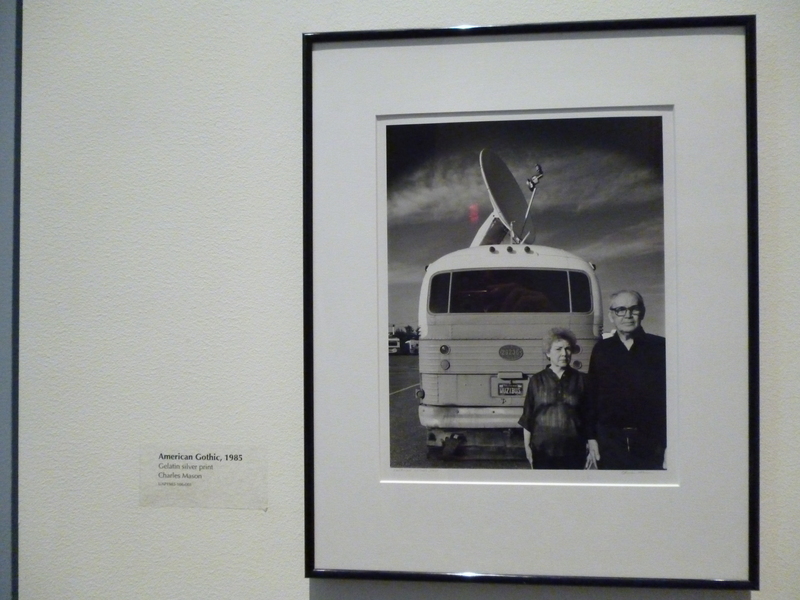 In another gallery we came across a 1985 version of the American Gothic. The picture seemed kind of fitting for our current RV lifestyle. Our Roamer needs a bigger dish – lol. 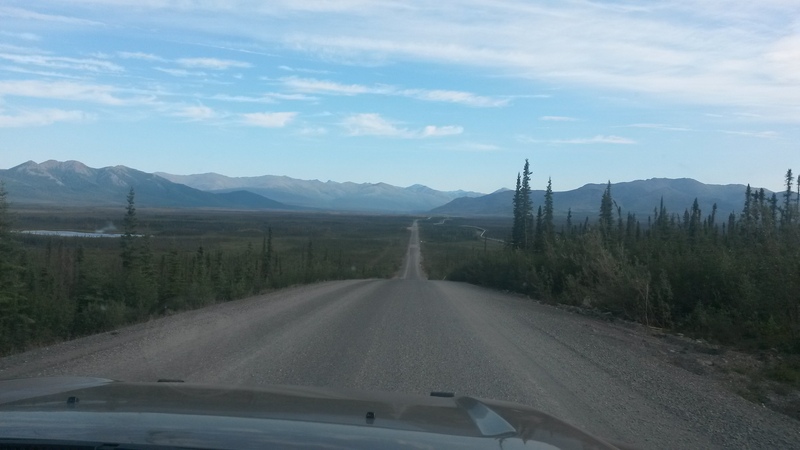 We then headed north out of Fairbanks to the Dalton Highway, which was constructed to support the building of the Alaskan Pipe Line all the way up to the Arctic Ocean. 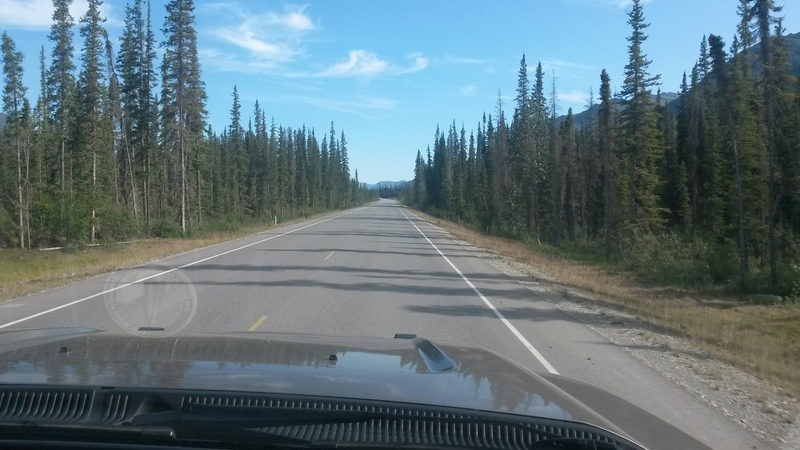 The road is notorious for being tough on vehicles, but is still well traveled by big trucks hauling supplies north and south, so it is relatively well maintained. 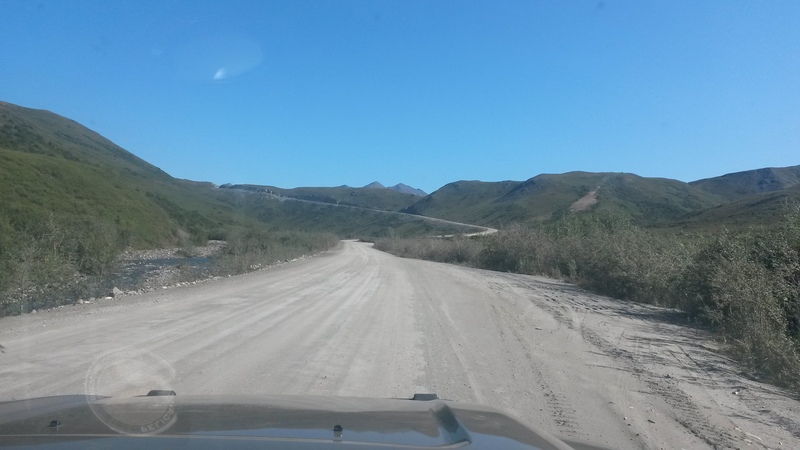 Once again the gravel sections were much more enjoyable to drive on. 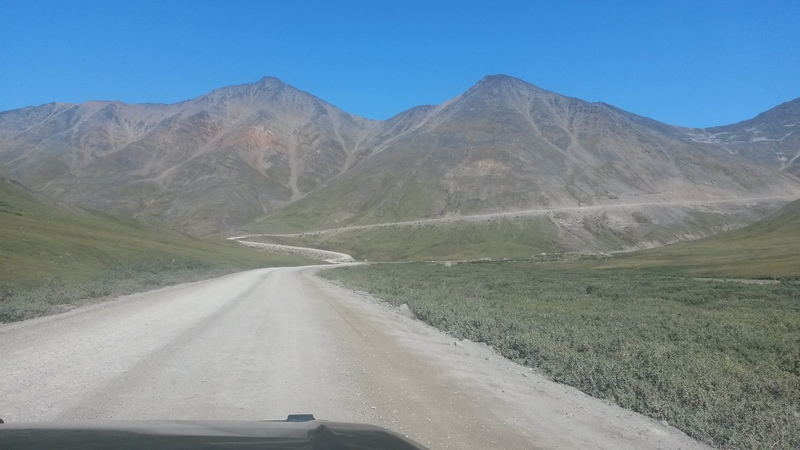 We did not travel the 498 miles from Fairbanks to Prudhoe Bay, but we did go 2/3rds of the way to Atigun Pass on the Alaskan Continental Divide in the Brooks Range. Our furthest point north was 129 miles north of the Arctic Circle. 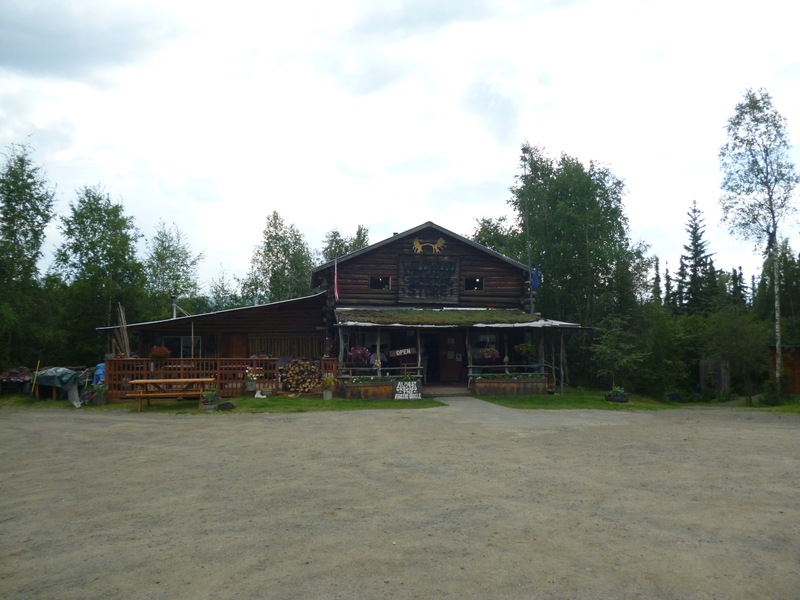 There are very few inhabited places once you get north of Fairbanks, so we stopped at most of them to check them out. One was the Arctic Circle Trading Post that had a collection of Police Insignia sent to them from all over tacked to their beams. They also had a great sticker that said, “There is not a single mosquito in this town, they are all married and have many children”. However, relative to the mosquitoes, we sat out in the evenings at both campsites for hours and mosquitoes were never a problem. It must be an OFF year – lol. 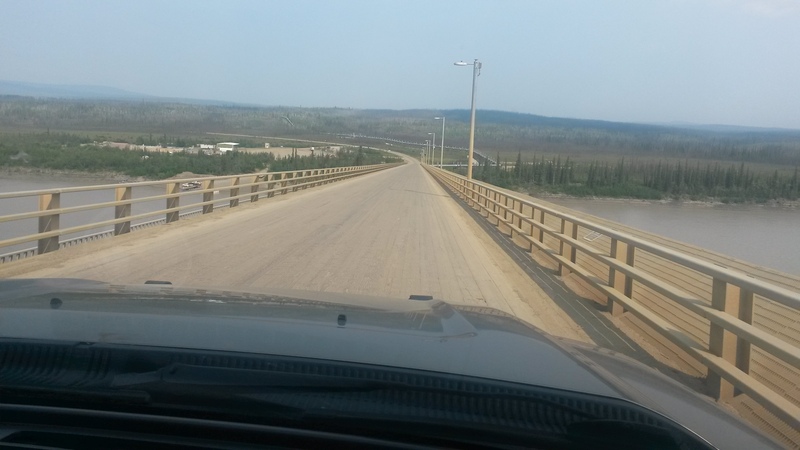 We also stopped at the Yukon River bridge crossing, where the bridge road surface was made of wood planks. Given the trucks, and the loads they pull on this road, the surface must have been very thick wood planks. 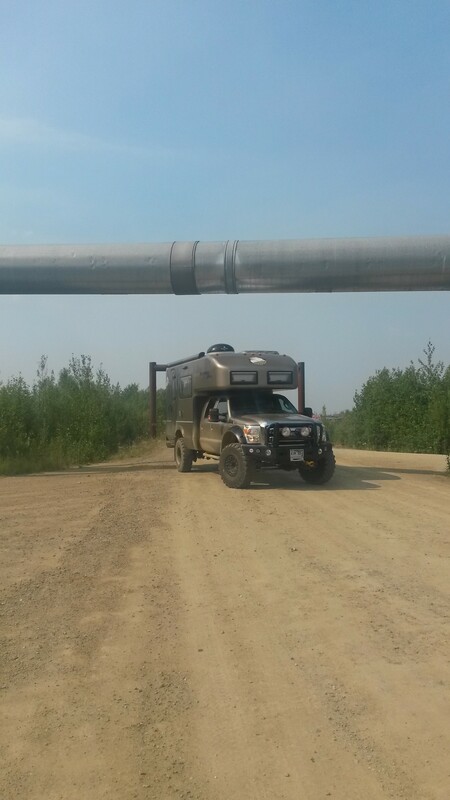 The pipeline runs under the bridge so you can drive under the pipe here. It’s huge, about 6-foot in diameter, and has been sending oil 800 miles from the Arctic Ocean to the southern Alaska coast since 1977. It really is an engineering marvel. There must still be a few fires in western Alaska that created a hazy horizon as we moved north, but the area was still beautiful. 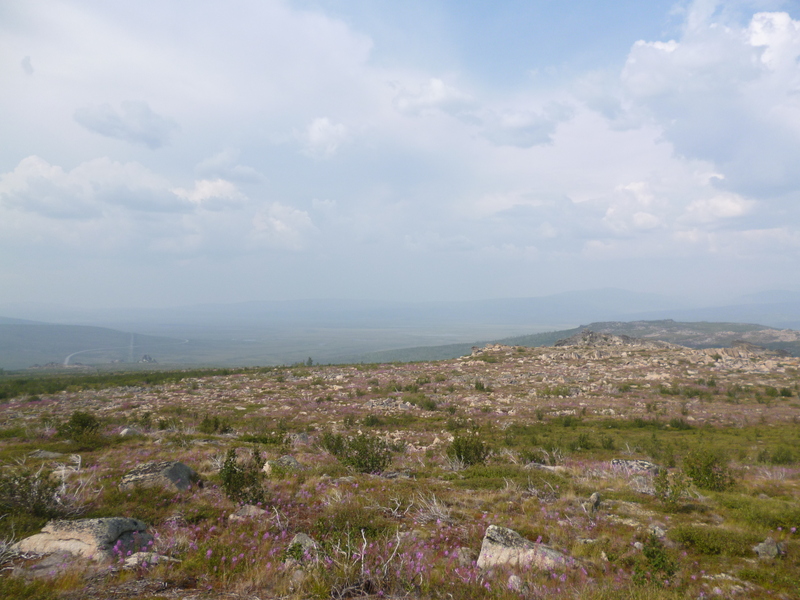 It was smoky from just north of Fairbanks to just below the Arctic Circle on the way up. We also stopped at the Hotspot Cafe for a nice vanilla ice cream shake. With the sun beating on you for 20+ hours a day in the dry air, a shake hit the spot. We hit the Arctic Circle latitude, 66 degrees and 33 minutes north for our first night’s camp. 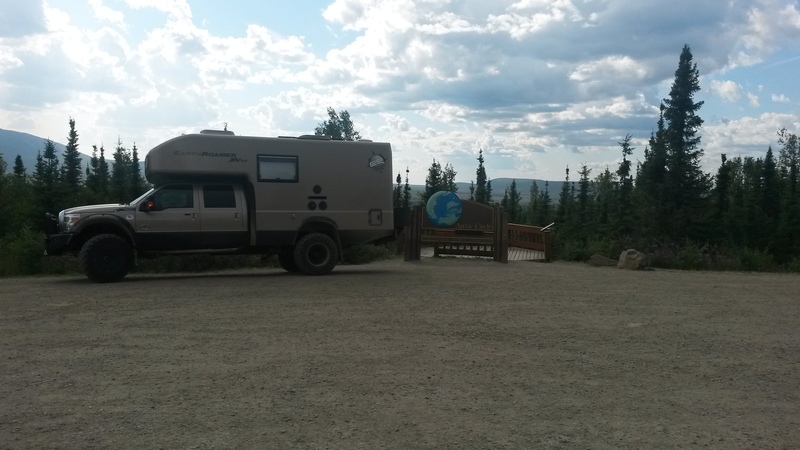 There was free camping there and the spots were a nice change to those in Fairbanks. It’s amazing to think that when you are on the Arctic Circle you are still as far away from the North Pole as you are from the California – Oregon border. Wow, the North Pole is way, way up there. The Arctic Circle area was not what I expected. Somehow I figured once we got to the Arctic Circle a huge herd of caribou would be wandering over the wide tundra under the watchful eyes of the local Eskimos. It was still boreal forest with the black spruce and many other trees, and more mountainous than I imagined. 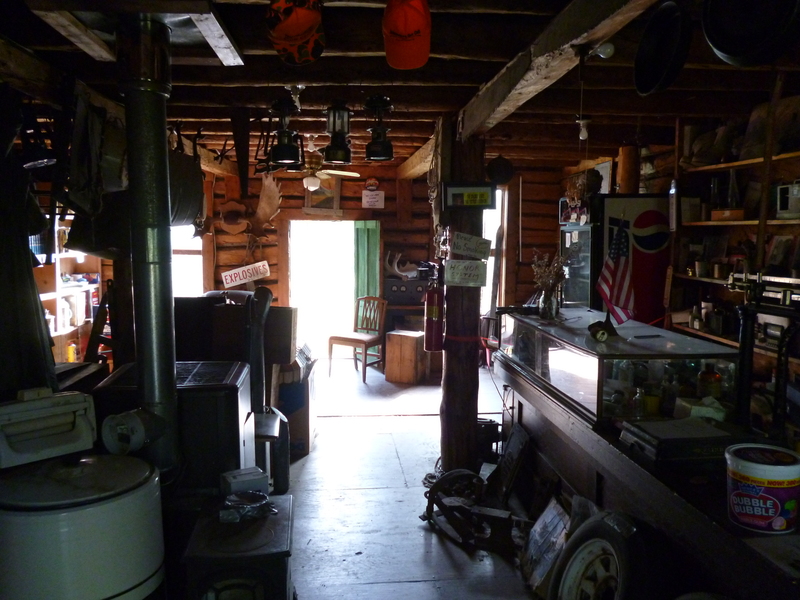 We stopped in Wiseman, a small town of about 30 folks with a trading post and mining museum. We chatted with a couple of the locals on the town, where it was obvious that everyone knew exactly what each was doing most of the time. 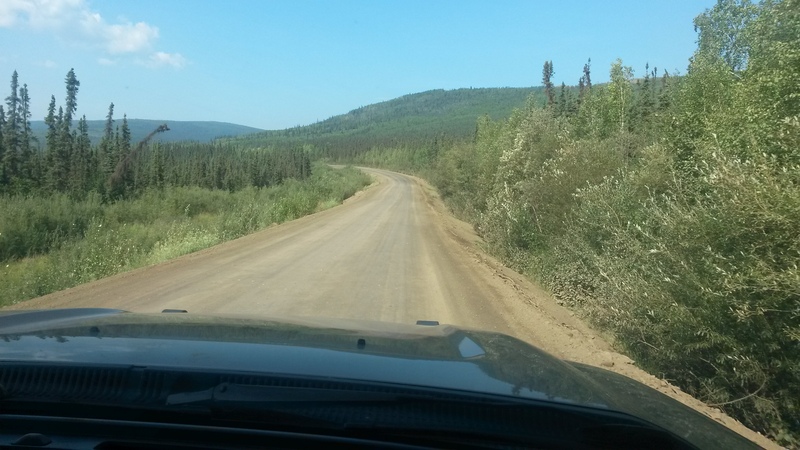 The Dalton Highway did have some really nice paved sections to the road around Coldfoot, the town that has the Arctic Interagency Visitor Center. 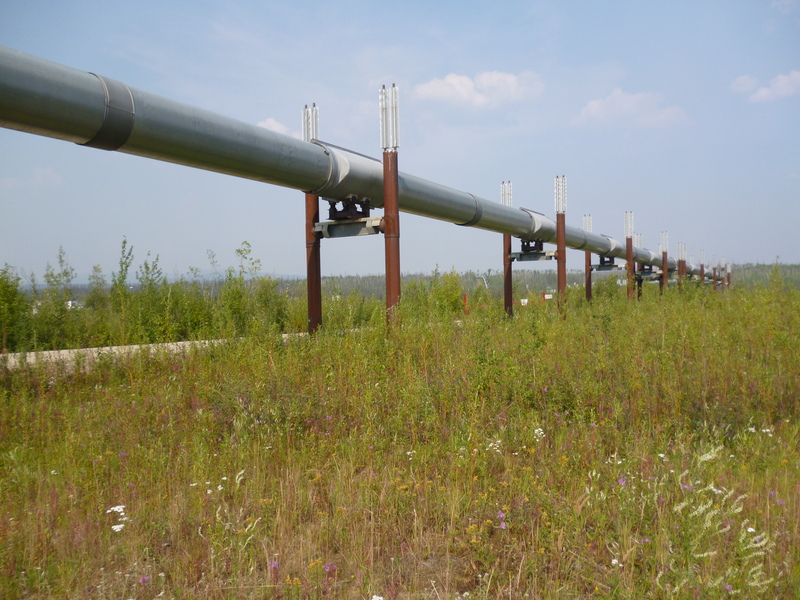 They had a great video on the making of the Alaska Pipe Line in the late 1970s. 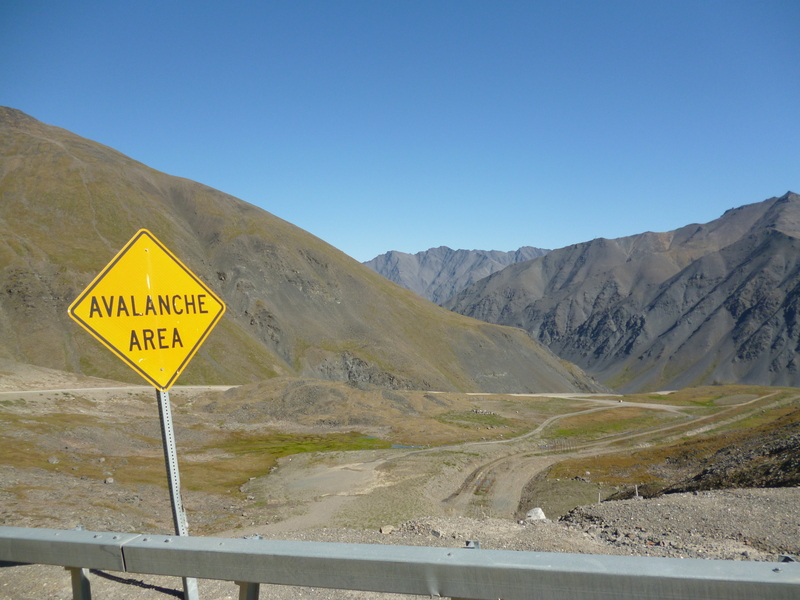 However, most of the road is gravel or packed dirt, with graders fixing sections all along the way while trucks blow by at 50 mph regardless of the road condition. 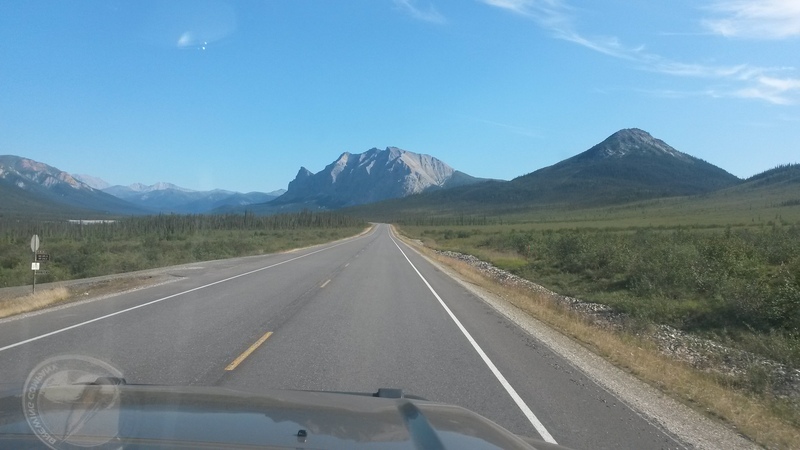 The scenery gets incredibly beautiful as you approach the Brooks Range, the northern most mountain range in Alaska. 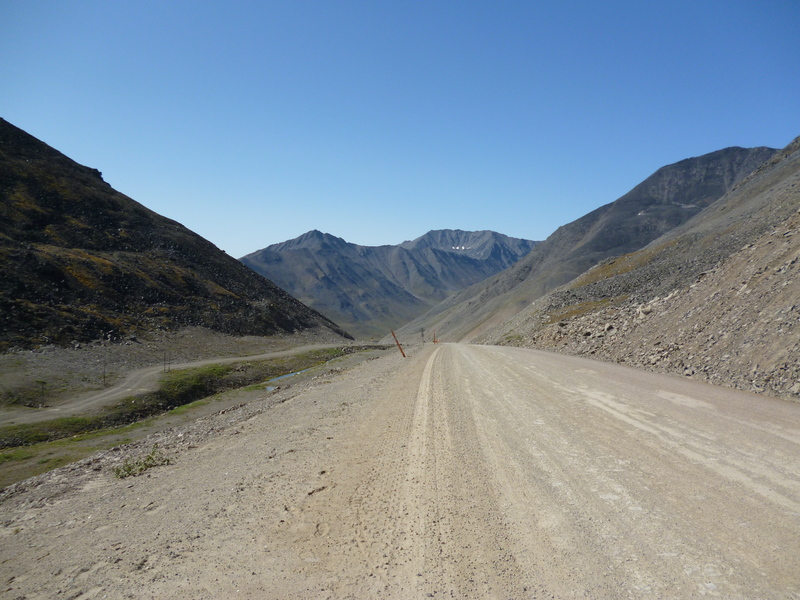 The road also gets interesting with 10% and 12% grades for miles through the passes. This was the climb to the Chandalar Shelf where the tundra actually does begins. 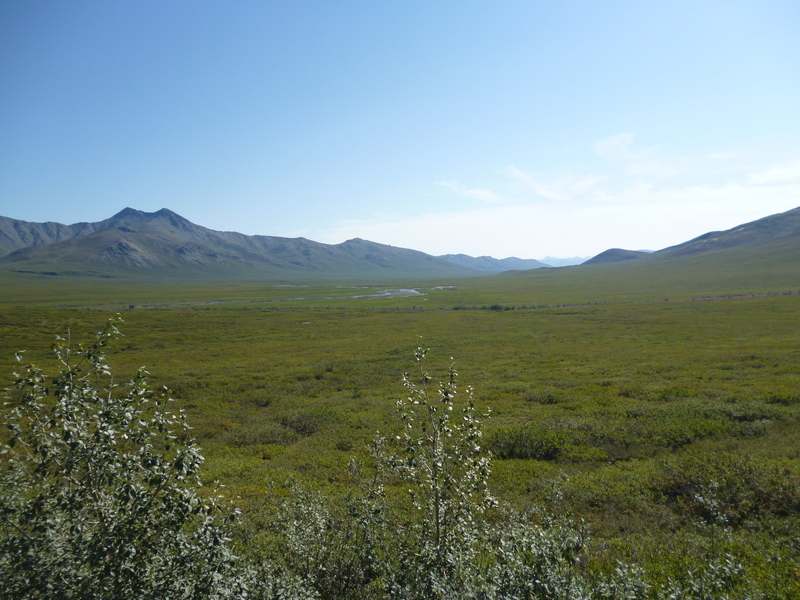 The tundra area was beautiful. This was the 12% climb to the Atigun Pass. The mountains that surround the area were just stunning. We turned at that point and headed south again to Coldfoot. We’ll save the Sag River and the plateau into Prudhoe Bay for another trip. We camped at the Marion Creek Campground. We had yak steaks and lobster ravioli for dinner with a few Alaskan beers. 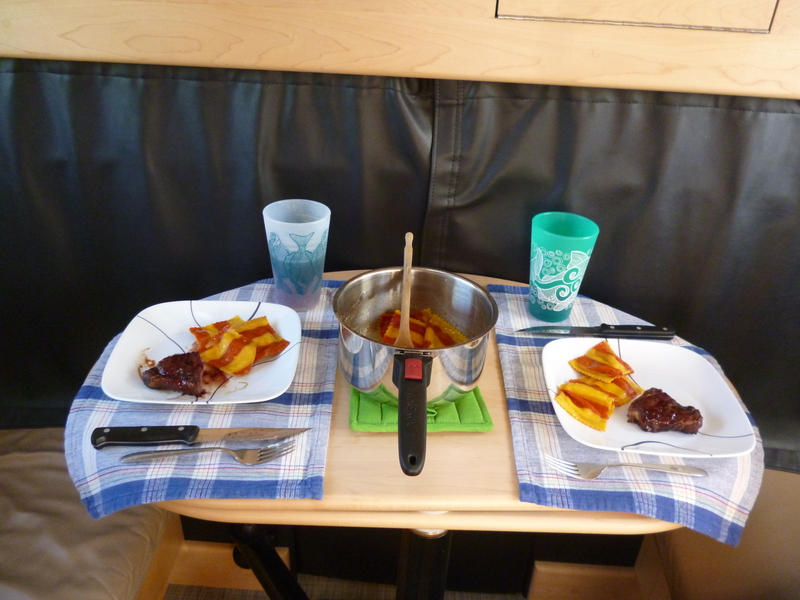 Nobody said camping food couldn’t be awesome. The sun may go just below the horizon at this latitude now, but the light is similar to a cloud passing overhead. It’s nowhere near dark. Our solar panels were generating a charge 24 hours a day. 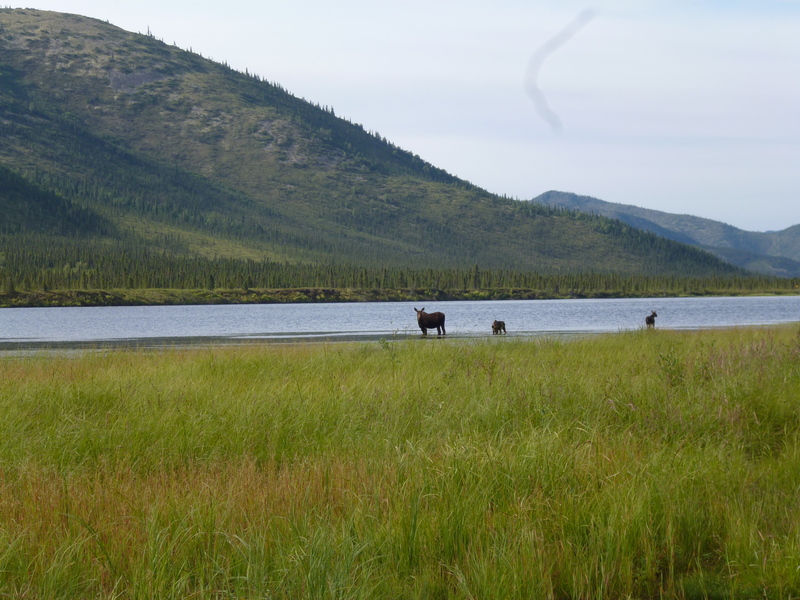 On the way back south we spotted this mother moose and her two babies in the pond. We also saw two bears, one just sitting in the tundra not far from the road. This bear was in the 1000 pound category and made us wonder what a bicyclist would do at that point. I guess use your available food supplies like chaff as you pedal by and hope it loses interest in spandex – lol. 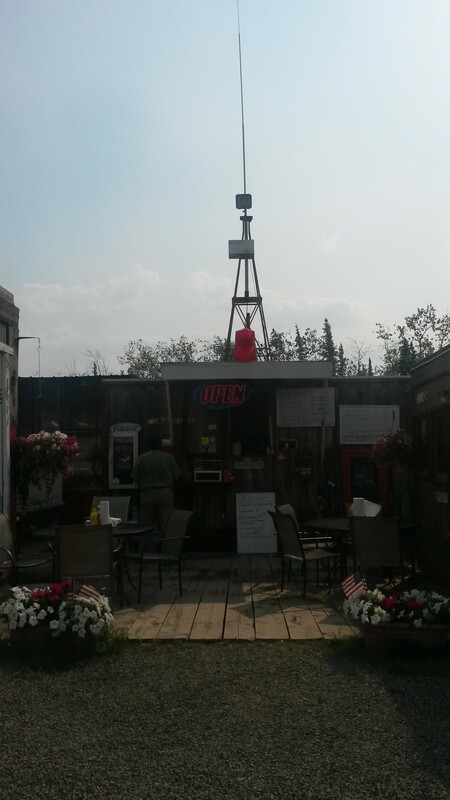 We also stopped at the Yukon River Camp for lunch. Pam had a salmon burger, I had salmon tacos and we both had the salmon soup, all very good choices. 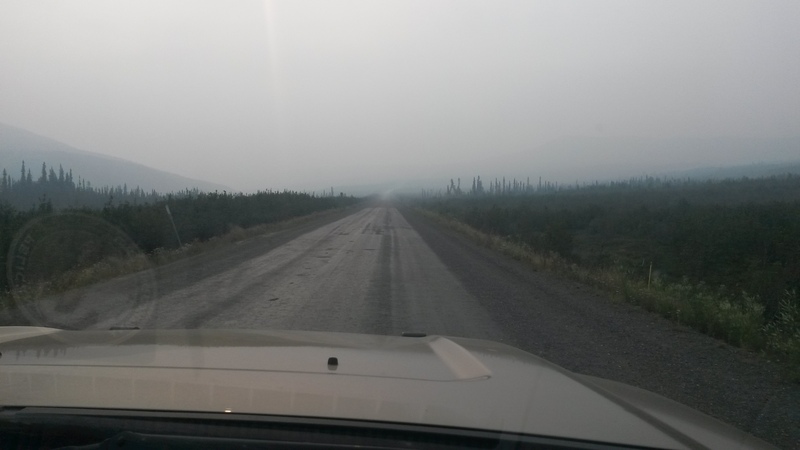 We hit the smoke again at the Arctic Circle and all the way south of the Yukon River. It was kind of spooky driving into the smoke, but given that traffic was moving in both directions, we felt pretty good about continuing south. Rain started to fall, clearing the smoke out of the air and making the dirt road a blast to drive on in 4 wheel drive, humming at 50 mph through the forest. 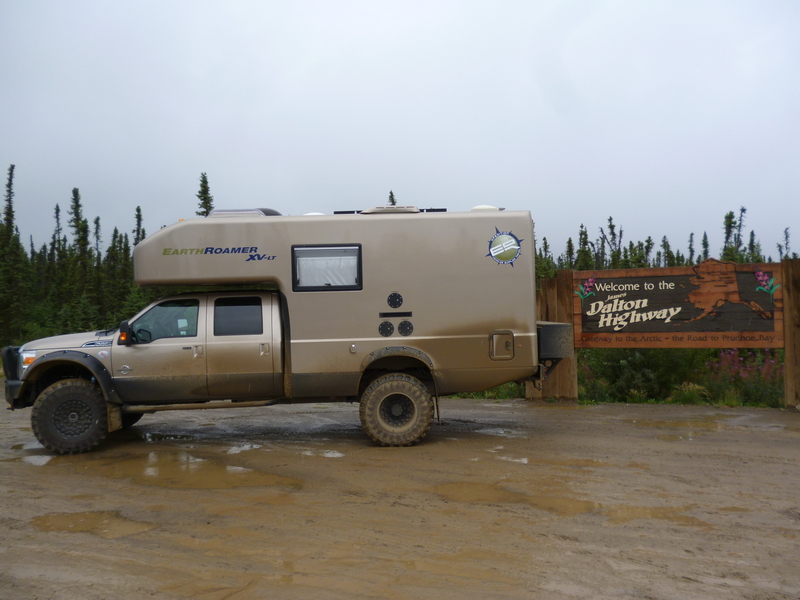 We got to the end of the highway and stopped for a photo of the rig covered with road grime. 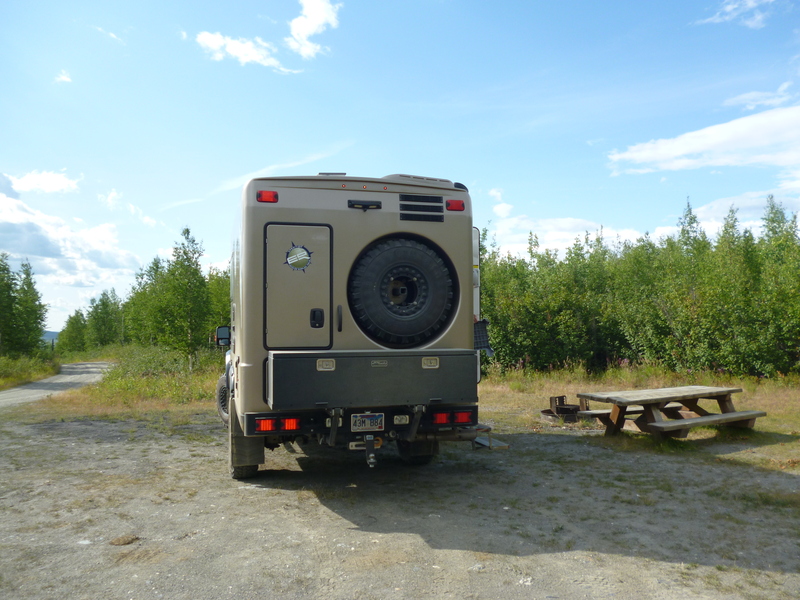 The mud was nearly welded on and reluctantly came off with a high pressure wash hose at the campground back in Fairbanks. 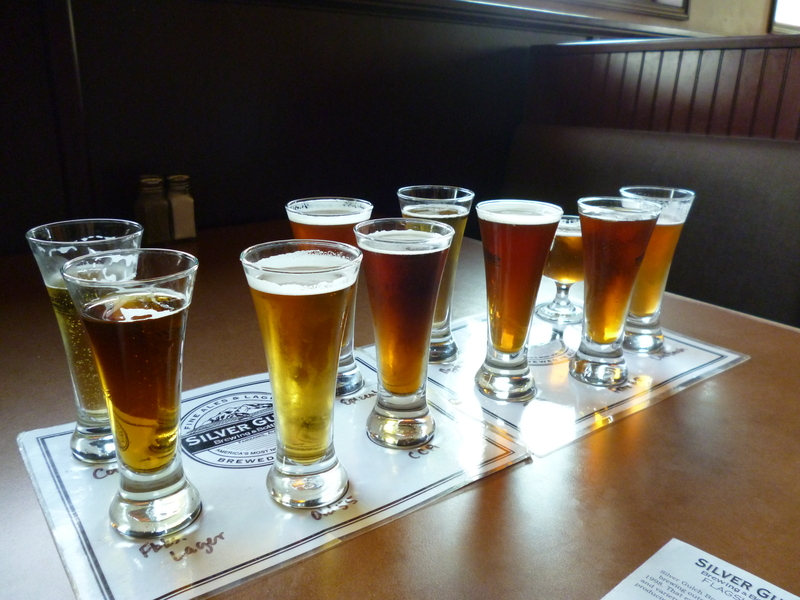 On the way back into town we hit the Silver Gulch brewery for a taste and a bite. They have a lot of choices in their flight and the Alaskan hushpuppies made with halibut were really good. 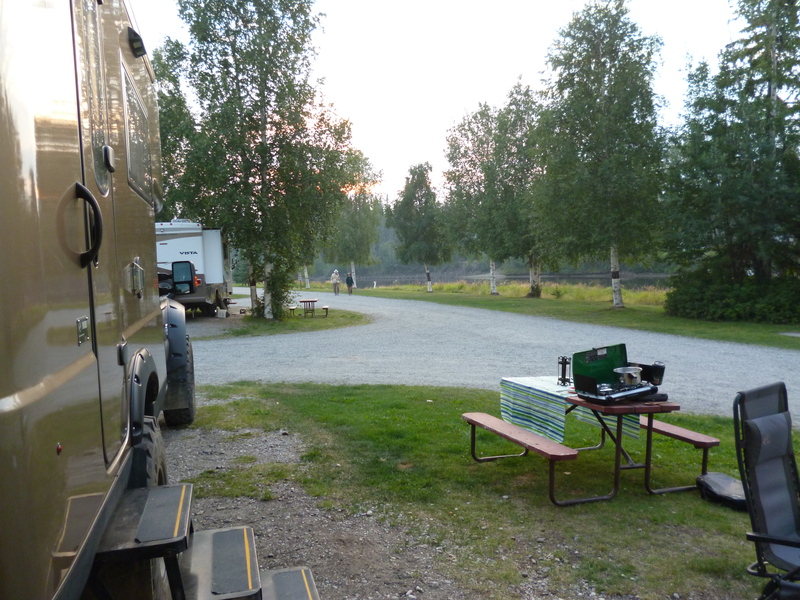 Got a camp spot right next to the river tonight in Fairbanks and we’re heading for Denali tomorrow for a few days.